Welcome to East Shore Marine! 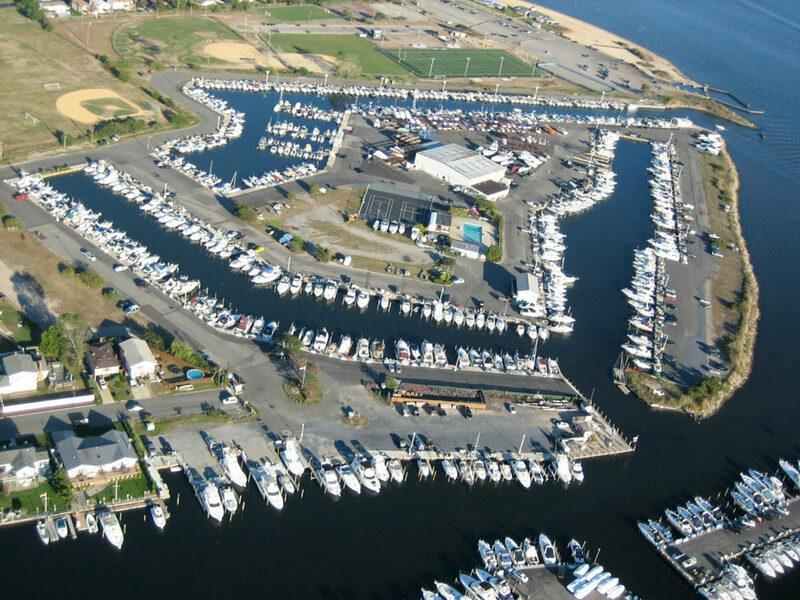 Our beautiful marina is situated in protected waters on the Great South Bay of Long Island. This premier world class marine facility offers all the services and amenities one would expect for a truly pleasurable Long Island boating experience. Our staff is top notch and friendly and we pride ourselves on providing high quality, professional marine industry operations and services, to include New and Pre-Owned Boat Sales. East Shore Marine was established in 2001, and since then we’ve worked hard to become the most capable and comprehensive Marine Services Facility on Long Island. Our new indoor maintenance bay is capable of housing boats up to 75′ and our trucks and lifts can move the largest yachts with ease. We take pride in our work, and we challenge you to find a better marina on Long Island — or in New York for that matter! YES – we have Gas Dock on site! Nestled in the protected waters of the Anchorage Marina on the south shore of Long Island, East Shore Marine is the prime spot to keep the boat you love and yes – we’ve got a Gas Dock on site. We offer both dock space and full service High and Dry storage. With High and Dry service, a quick call 1 hour before departure – and your boat is in the water. Contact us to find out more about docking your boat here! East Shore Marine prides itself on providing the highest quality Marine Service in Long Island, NY. East Shore Marine Repairs is a Certified Platinum Mercury Repair Facility and a Certified Formula Repair Facility. Our professional marine mechanics are comfortable repairing almost any model of boat. From the smallest fix to a full restoration – East Shore Marine has your Long Island boating needs covered. Our boating supplies store here in Lindenhurst, NY carries a full range of gear for Long Island boaters. With a wide range of parts and accessories always in stock, we can also special order anything for your boating needs. Visit us at the Anchorage Marina and speak to a pro at the parts counter. We not only sell parts – we install absolutely everything and have the experience to provide you with the best possible advice. If you need to buy or sell a boat in New York or Long Island, you’ve come to the right place! East Shore Marine provides comprehensive boat brokerage service for clients across NY and Long Island. Our full service approach allows you to sit back, stay at work, and relax while we take care of the rest. Let our Captains take your boat out with potential buyers – at no charge to you. Should your boat need anything, we provide a full range of maintenance services in house. Contact our friendly salesman to find out more! If you are looking for a high end, high performance boat on Long Island, look no further. East Shore Marine is now a proud dealer of Southport Boats in NY. Combining high end performance and elegance with flexibility, Southport Boats is the product of experienced boat builders, passionate fishermen, and offshore racing enthusiasts. Using cutting-edge composites, their goal was to maximize the performance and power of modern twin outboard boats. With models ranging from family friendly to tournament level, Southport has a boat for everyone. Shopping for a new boat in Long Island? East Shore Marine in Lindenhurst has chosen to deal exclusively in what we consider to be among the finest vessels available today – Century Boats. Featuring 100% composite construction, Century implements a unique build process known as the RIB system (Rigid Integrated Beams). This process allows improved hull strength with no increase in weight. The end result is a boat that is durable, light, and fast! Visit East Shore Marine in Long Island for a test ride. We are proud to serve NY and NYC. All our Technicians are Factory Trained & Certified - We Use Genuine Parts!